Dang's the name of our founders' mother, with her recipes like no other. 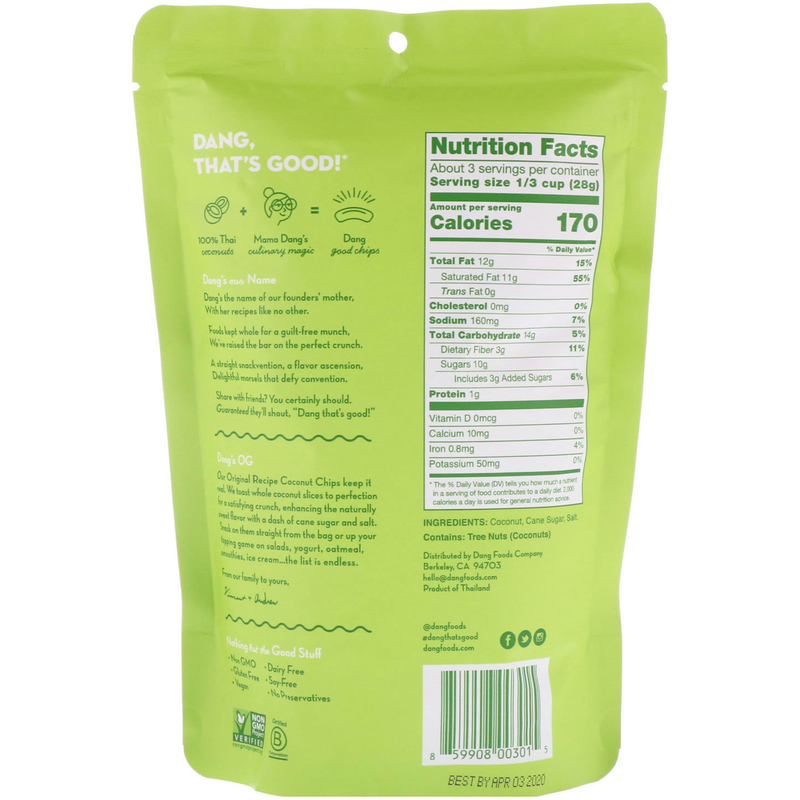 Foods kept whole for a guilt-free munch, we’ve raised the bar on the perfect crunch. Share with friends? You certainly should. Guaranteed they'll shout, "Dang that's good!" *Percent Daily Values are based on a 2,000 calorie diet. Your Daily Values may be higher or lower depending your calorie needs. 1 serving of raw apple (1 cup, chopped) contains 3 g fiber & 13 g sugar. 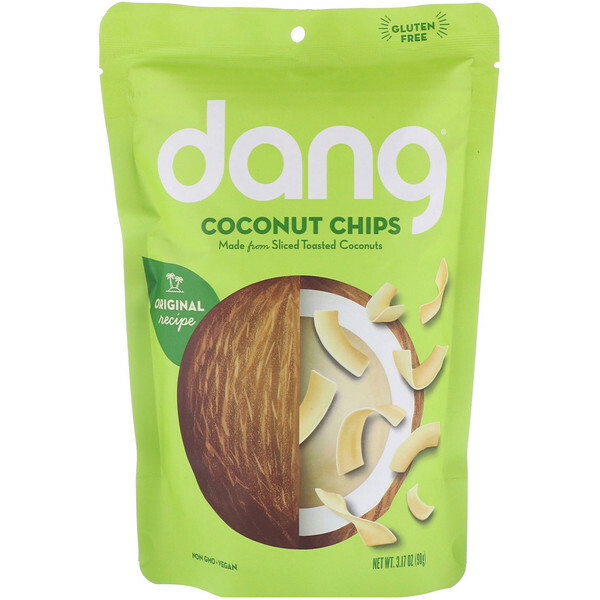 1 serving of Dang Original Recipe Coconut Chips (1 oz) contains 3 g fiber & 10 g sugar.